Six years ago I had the good fortune, after a 35 year career in the communications industry (the majority with a great company Cox Communications), to retire! Soon after my loving wife told me in a not so gentle way that she married me for breakfast and dinner , not for lunch and to go find something to do during the day! One of my passions has always been to give back to our community , so I jumped into non-profit work with both feet by serving on Boards and helping out at a dozen non-profit organizations! At my retirement party my good friends Duane Roth and Bill Walton challenged me to ride the bike Cox had just given me ( my first bike since HS) from SF back to SD with them in October for CAF. I cheerfully said yes before many friends that I was all in (before really thinking about it!) 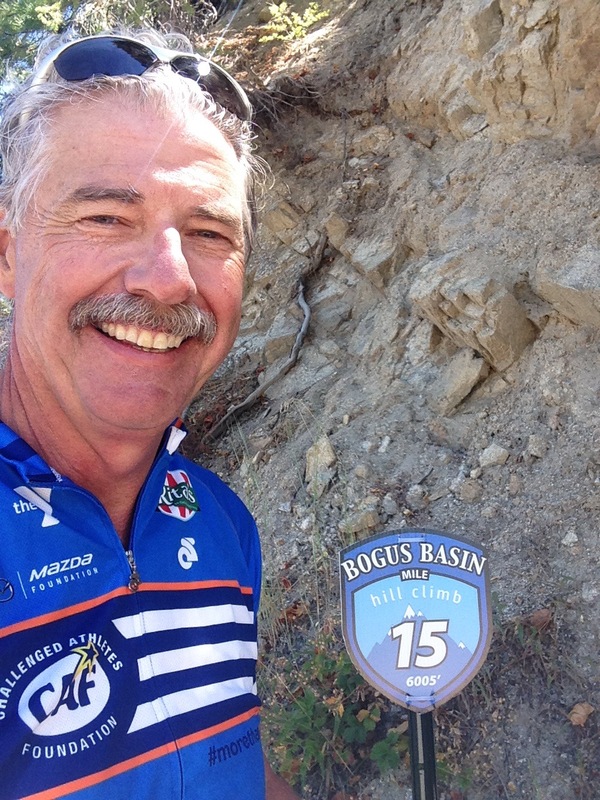 , little did I know that it was a 625 mile ride over a week, riding over mountains (Big Sur)….4 months from the party!! Bill Walton said in his baritone voice “Bill Geppert it will change your life!” I got my bike a few weeks later rode 15 flat miles and thought I was going to die!! BillW was right in many ways , I have become a passionate road Cycler riding over 30,000 miles since then and in two even more important ways. 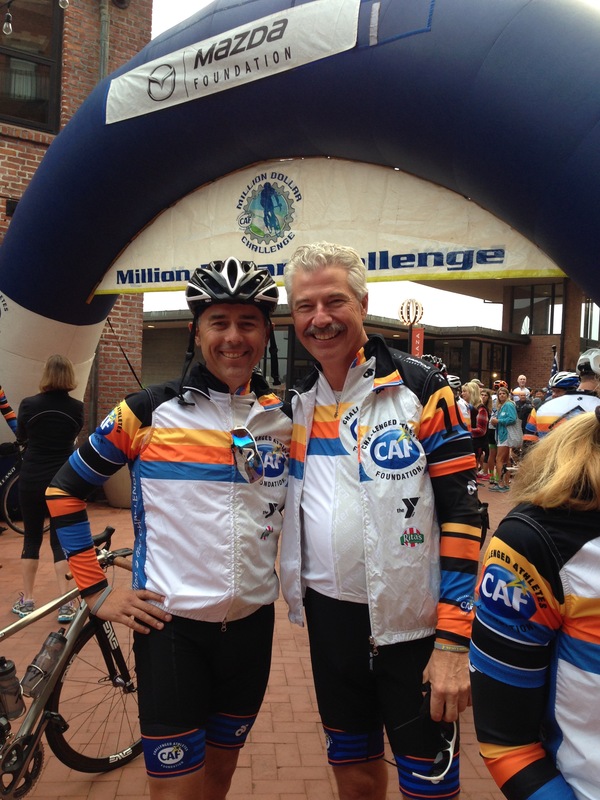 First, I lost my dear friend Duane Roth ( pictured below) in a cycling accident , we rode 2 MDC’s ( the 625 miler) together. His fierce determination , passion for cycling and encouraging support stay with me every time I ride my bike! 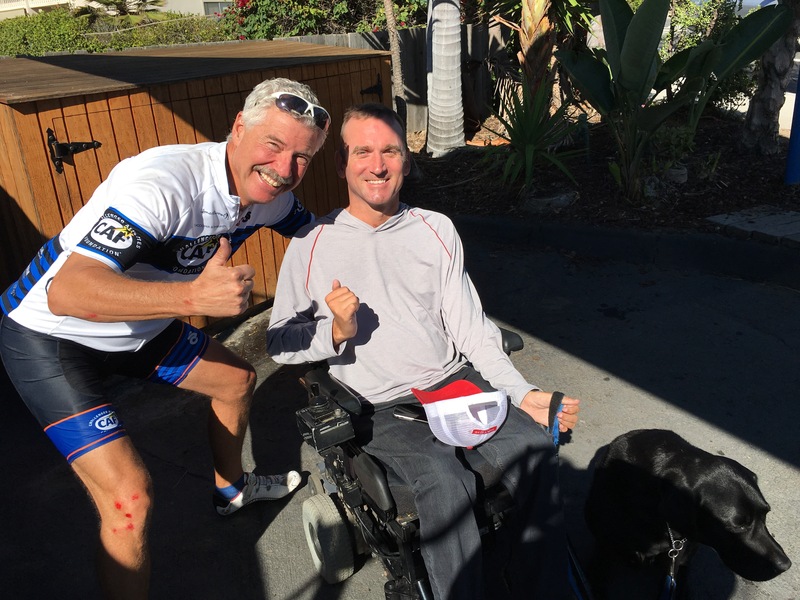 The second was through my involvement with the Challenged Atheletes Foundation (CAF), meeting and getting to know these incredible and inspiring people who have pushed me through many days when the hill seemed too steep or my legs were too tired to carry on. What these amazing athletes achieve and mentally push through is so much more than what I will ever accomplish….and they do it with grace as though their challenges were a gift! The funds we raise for CAF go directly to provide grants for equipment and prosthetics that enable these people to rengage in sports. Many have said the opportunity to participate in sports “transformed their lives” so they can now inspire others who are facing serious injuries or are dealing with debilitating physical challenges. 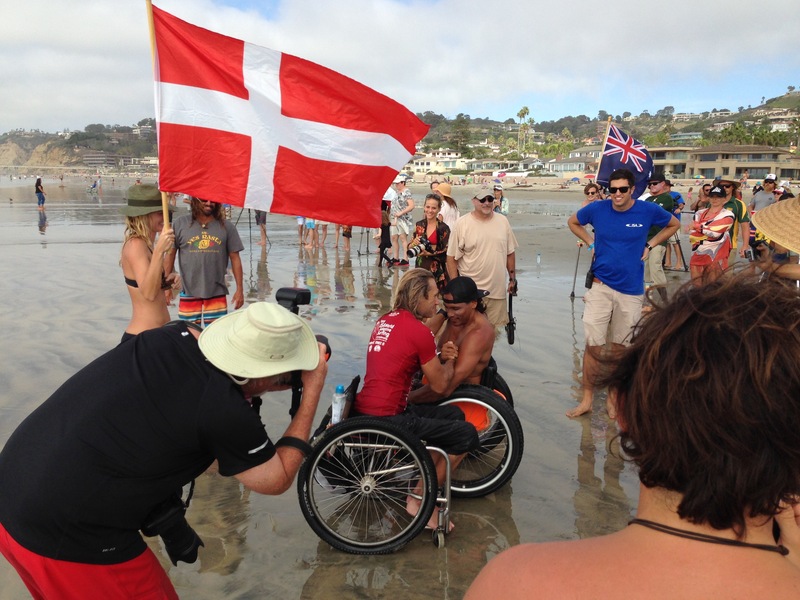 Through CAF they “pay it forward” by mentoring the next wave of challenged athletes , helping to motivate them to become active and determined to live a life without linits. 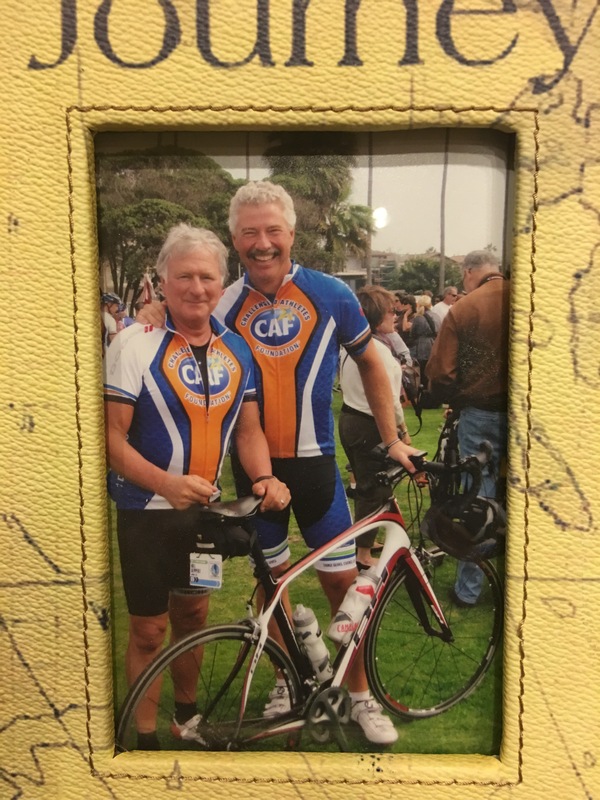 This is a cause that both BillW and Duane (picture above at the top is BillW and Duanes brother Ted Roth at a CAF Spin Cycle event) knew that once you started it would be much more than about riding. It’s been about the many lives that have been changed- mine is one that has been changed forever!! I hope you find our travel cycling blog, the stories , the challenged athletes we meet in the way and humor good reading – and now you know why this soon to be 62 yr old moustached guy talked his wife into living in a 10 foot box for 10 weeks on the road! Thanks for following us! !